An immaculately presented five bedroom detached house that offers over 2300 square feet of living space, garden, double garage and situated in a much sought after location in the Park. The accommodation is arranged over three floors comprising on the ground floor a kitchen breakfast room which features a full complement of units with granite worktops and integrated appliances. Reception space is excellent on the ground floor with a dining room, a snug / family room and a lovely conservatory with views over the garden. In addition to this is a utility and a cloakroom. The first floor provides a beautiful sitting room with fireplace and gas fire, a cloakroom and a delightful master bedroom with an ensuite bathroom and a full provision of fitted wardrobes. The second floor provides a good sized guest bedroom with ensuite shower, two further double bedrooms and a single / study. The property is situated in the highly desirable Park area. 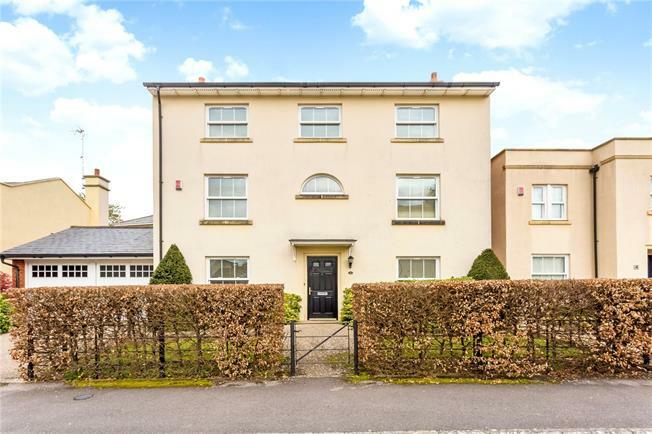 This location on the periphery of Cheltenham town centre is very well position for access to St James primary school as well as being walking distance to the amenities on the Bath Road and Tivoli, with Montpellier and the town centre also within easy reach. To the front is a block paved parking area as well as access to the double garage. There is a front area of lawn with pretty planted borders and enclosed by hedgerow. To the rear is a good sized garden, mainly laid to lawn with a patio, water feature and pedestrian access to the garage. The rear garden is enclosed by a mixture of hedgerow, fencing and walling. Agents note: We're awaiting receipt of the Energy Performance Certificate.